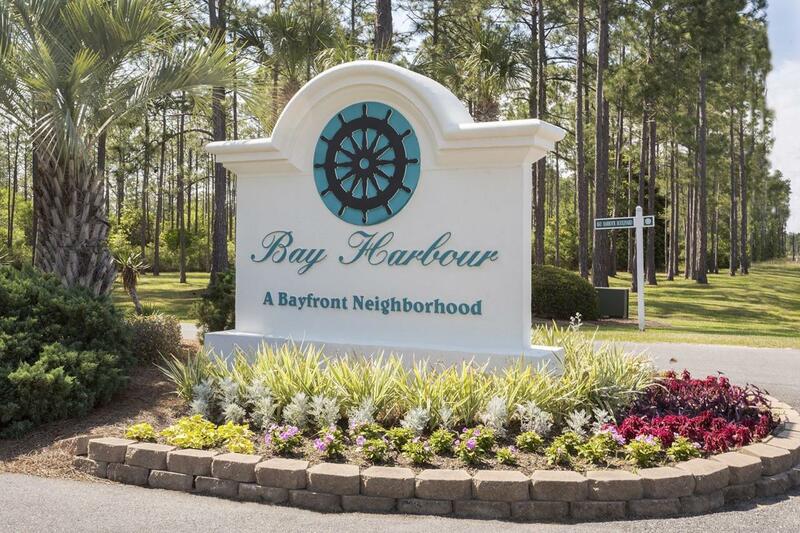 Awaken to the Choctawhatchee bay breeze and gentle waves in this beautiful bay front neighborhood! 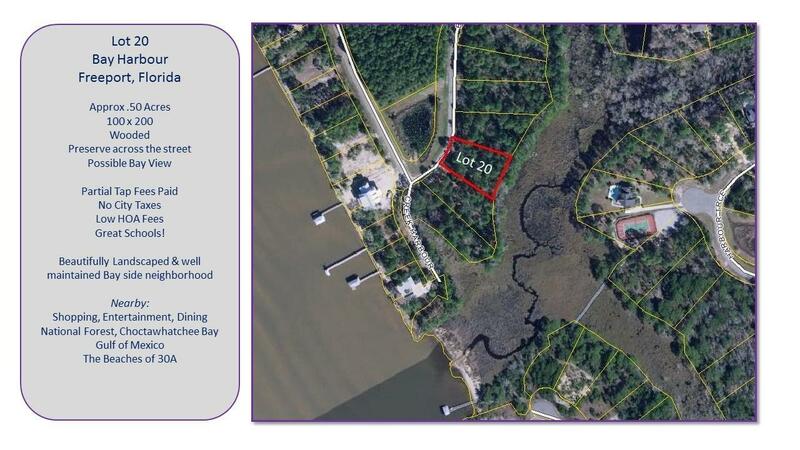 This lot 20 is approximately 1/2 acre with plenty of room to build your dream home and have the privacy you desire. Preserve area behind and across the street ensures breathing room! 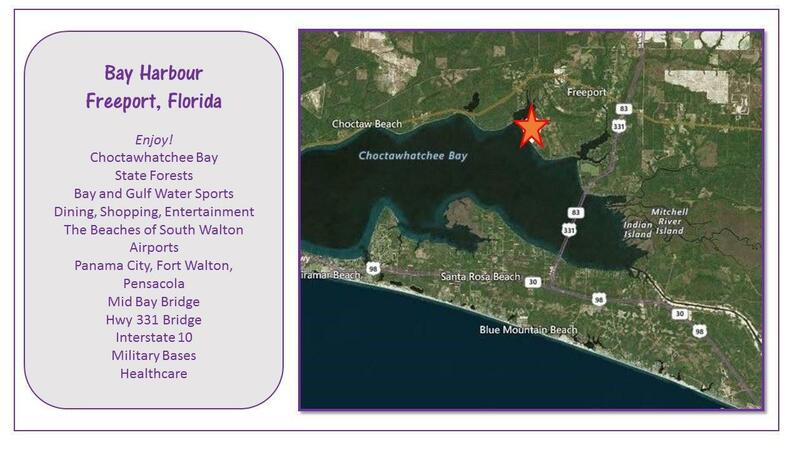 Low HOA, low taxes and great location make this one of Freeport, Florida's most desired areas. Boating, fishing, watersports, beach, hiking, shopping, dining, entertainment...you name it...it is here...reserve your place in paradise!